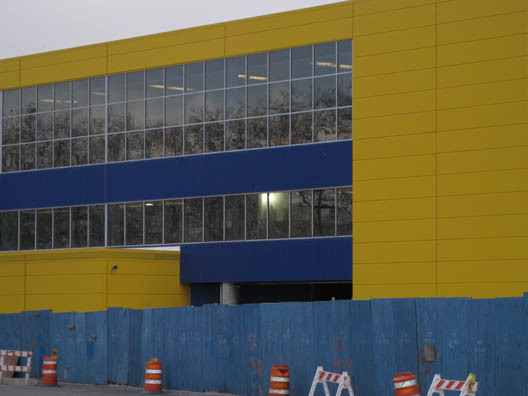 The Gowanus Lounge: Red Hook #1: Ikea Seeking 500 Members for Its "Swedish Family"
Red Hook #1: Ikea Seeking 500 Members for Its "Swedish Family"
IKEA places value and emphasis on coworkers’ personal lives and the importance of a work/life balance. Drawing from the company’s Swedish heritage, IKEA is committed to a flexible workplace that emphasizes a work/life balance and provides professional opportunities to people from all life situations. If an IKEA coworker needs to take time off to find a nursing home for an aging parent, be home to kiss their child before bed or have flexible scheduling to best juggle caring for a newborn, one can do so without worrying about risking their career aspirations. IKEA offers other family-friendly initiatives and diverse workplace benefits including full medical/dental insurance to coworkers working 20 hours or more per week with eligibility for domestic partners and children. The full text of the press release can be found here. All of the feel good talk, and wisecracks about "family" aside, the proof of the firm's value to Red Hook will be directly related to the number of residents they hire. We look forward to learning how many Red Hook residents are on their payroll and how many total Brooklynites are hired.